About Us - Selinda Research Associates, Inc.
Selinda Research Associates' mission is to help museums and other informal educational organizations create effective experiences for their visitors. We do this through an informed and systematic integration of evaluation and research. Our associates have expertise in instructional design, education, early childhood development, psychology, and the evaluation of educational technology. Our studies incorporate these multiple perspectives. Director of Selinda Research Associates since 1989. With a Ph.D. in Instructional Systems Technology from Indiana University, she has conducted research on the role of intrinsic motivation in informal educational settings focusing on the question, "What makes learning fun?" She has extensive experience in museum exhibit and program evaluation and development and has consulted with museums and other organizations throughout the United States, Canada, and the United Kingdom. Her work includes evaluating museum exhibitions and programs, planning and presenting workshops and training seminars, consulting with museums on visitor-centered long-range planning, and incorporating instructional development principles into the design of museum spaces and visitor experiences. 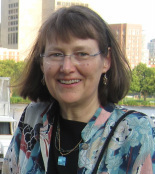 Before founding Selinda Research Associates, Deborah served for seven years as an elementary school media specialist, integrating technology into previously print-based school libraries. In addition to her Ph.D., she holds a M.Ed. in Instructional Media and a B.S. in Elementary Education. Deborah is Past President of the Visitor Studies Association and also served for many years on the Visitor Studies Association board. Eric started his museum career as a volunteer and junior staff member at the Lake Erie Junior Nature and Science Center in Bay Village, Ohio. He has worked as a naturalist and curator-educator at the Children's Museum in Indianapolis and as an exhibit developer and evaluator at the Field Museum in Chicago. Eric's educational background includes a B.Sc. in Interpretive Work in Natural Resources (Ohio State University), a B.Sc. in Geology (Indiana University-Purdue University at Indianapolis), and a Ph.D. in Paleontology and Stratigraphy (University of Chicago). Eric conducts exhibit and program evaluations and contributes literature reviews to Selinda Research Association projects. Some of his research interests over the years have included public understandings about Earth history and prehistoric life and public uses of educational websites. Eric is also working on a more personal project whose major goal is to help parents support their children's deep interests in nature, science, and technology. The project includes a website, various blogs, programming at local museums, and more. It also includes supporting his two sons' passionate interests in birds. Diane’s career in informal learning began with her certifications in early childhood and elementary education. Her eight years of teaching both children and pre-service teachers focused on informal education methodologies and led to the publishing of a hands-on curriculum book. When an interactive science museum was founded nearby, she served as a volunteer, and then ultimately became the executive director for thirteen years. In that role she was also directly responsible for the management of exhibit development, fabrication, and evaluation. Since 2004, Diane has participated in evaluation projects in national parks, museums, and other public facilities. Diane is uniquely positioned to share multiple viewpoints on evaluation projects, from visitor learning styles to museum operations and guest services. Her visitor-centric perspective to exhibits and interpretive panels ensures the needs of informal learners are considered. Barbara has been an exhibit planner and writer for over 25 years, both as an independent consultant and on staff at Chicago’s Field Museum and John G. Shedd Aquarium. She is a versatile researcher, writer, evaluator and instructor, working with a variety of clients and partners. She loves strategizing and producing content for the three-dimensional environments of exhibition; and throughout her career has focused on investigating and working with audiences as a critical piece in successful communication. She has carried out evaluation for exhibition projects at natural history museums and aquariums, children’s museums, zoos and parks in Chicago and across the country. She has worked with various institutions to create strategic plans for long-term audience assessment and evaluation; and in the early 2000s participated in the partially NSF-funded Excellent Judges program developing a framework to assess excellence in museum exhibitions. Barbara has an MA in Anthropology from University of Illinois. improve our clients’ processes for producing programs and exhibits. The field of instructional design and development, which advocates the systematic application of learning research and theory to the development of educational materials and activities. Naturalistic inquiry methodology, a primarily qualitative approach to conducting research and evaluation in exhibitions, classrooms, and other non-laboratory settings. Naturalistic inquiry seeks to understand the "how" and "why" questions underlying visitor beliefs, experiences, and behavior. Collaborative consulting, whereby the client and the consultant form a close working relationship, respect and share each other's expertise, and ultimately develop joint ownership for the product -- whether it be an evaluation study, educational plan, or training materials. Multiple methods, including structured and open-ended interviews, unobtrusive and participant observations, focus groups, written surveys, and timing and tracking studies. Mount Selinda is a tiny village atop a 3,000-foot-high, flat-topped mountain in southeastern Zimbabwe. The founder of our group, Deborah Perry, grew up in this village situated in the Chirinda Forest, the southernmost tropical rainforest in Africa. She uses the name Selinda to honor this beautiful country, which was so influential in her life. Deborah's memories of Mount Selinda also inspired our logo, which was adapted from a traditional African motif.